Less than a day after POTUS told his state to improve their forest management, California Governor Mr Jerry Brown asked the White House for additional funding to combat the forest fires. The death toll due to the fires rose to 31 on Monday. Another 228 people are missing. By now a state of emergency has been declared. Most of the victims fell in northern California, in the vicinity of the town of Paradise. At least 29 people died there. The town is almost completely destroyed. Ten research teams are currently identifying the victims. The fires in that part of the state have been given the name Camp Fire. Related coverage: <a href="http://thegoldwater.com/news/41981-CA-Trump-Slams-Forest-Gross-Mismanagement-Threatens-No-More-Fed-Payments"> Trump Slams Forest ‘Gross Mismanagement’ Threatens ‘No More Fed Payments’</a>. Two victims fell in the south of the state, near Malibu. 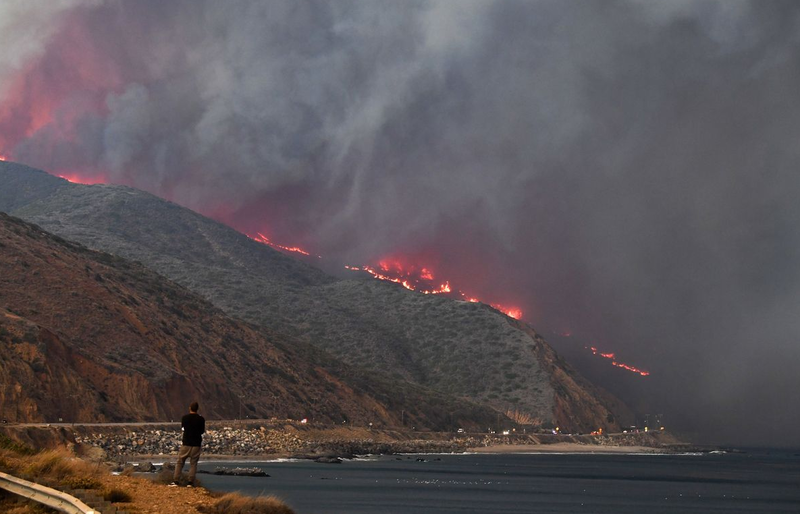 Those fires, called Woolsey Fire, covered nearly 30,000 hectares and destroyed 177 houses. The Governor of California, Democrat Jerry Brown, declared a state of emergency and asked for financial support from President Donald Trump at a press conference. "It's time to join forces and struggle together through this tragedy." President Trump had stated during the weekend that bad forest management in the state is the cause of the fires. Brown responded to this during the press conference and emphasized that the severe forest fires could be caused by the increasing drought and heat caused by climate change. So far, at least 150,000 people had to flee their home. In total, more than 8,000 firefighters are working to put out the fires. Meanwhile, NASA shared satellite images showing the fires near the town of Paradise.